Native to India, southeast Asia, and parts of northern Australia, gotu kola, a Sri Lankan name, which translates as "conical leaf", is used as a fodder crop, green vegetable or salad herb, and medicinal plant. In Ayurveda it is generally known as brahmi and used as a tonic remedy to improve longevity, memory, and intelligence. It is a restricted herb in some countries. The herb stimulates rapid growth of hair, nails and skin. Gotu Kola speeds the healing of wounds, hyperextended joints and stretched or injured ligaments, and improves vascular health. Use 1/2 tsp of the dried herb per cup of boiling water and take 1 cup daily for skin problems, rheumatism, or as a restorative for tiredness and depression. Take 1 tsp (5ml) in water daily for poor memory, inability to concentrate, or general exhaustion. Use on poorly healing wounds or skin ulcers. Traditionally given to Indian children to combat dysentery, or included in salads as a restorative tonic. Take 20 drops in water up to 3 times daily for rheumatic disorders and poor venous circulation. Used in Ayurvedic medicine to make a paste (mixed with a little water) and applied to eczema and skin sores. 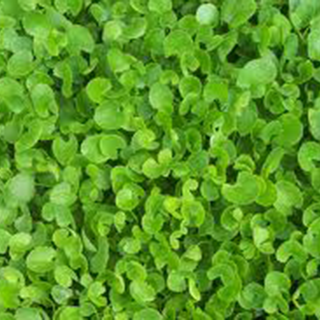 The fresh leaves are bruised or mashed and applied to wounds, contusions, swellings or oily skin - to speed healing, reduce formation of scar tissue and rejuvenate the tissues. Generally gathered in the wild, but can be grown in warmer areas from seeds sown directly in the spring. It prefers marshy ditches and riverbanks, so is best grown in partial shade in moist soil. It has an indefinite spread, so can make useful ground cover with the right growing conditions, but can become invasive. The whole plant matures in three months and is gathered, with or without the roots, throughout the year.